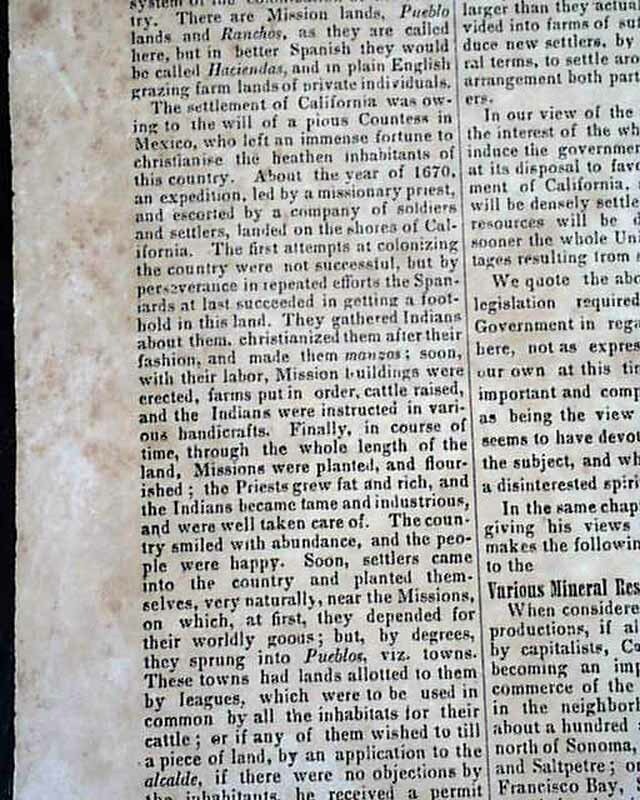 An extremely early newspaper from California, the vol. 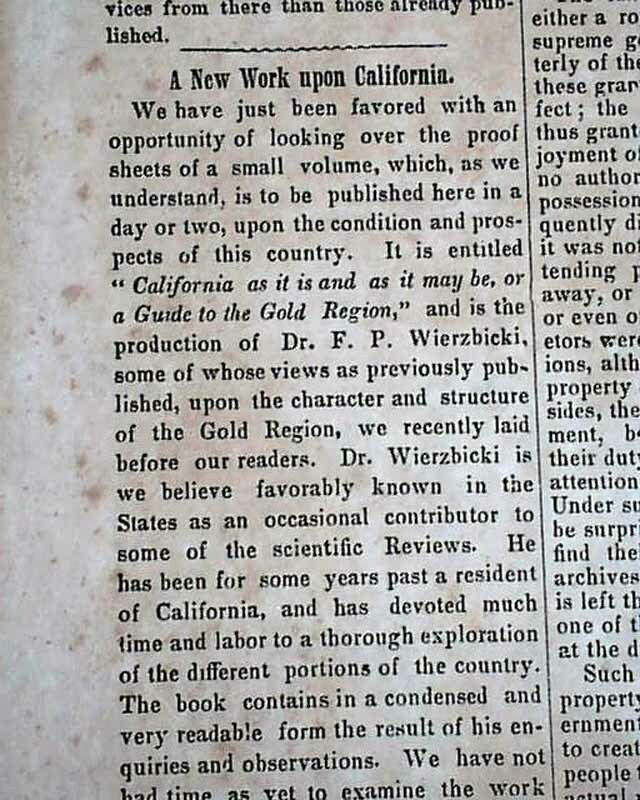 1 number 52 issue, being only the fourth newspaper to print in all of California. 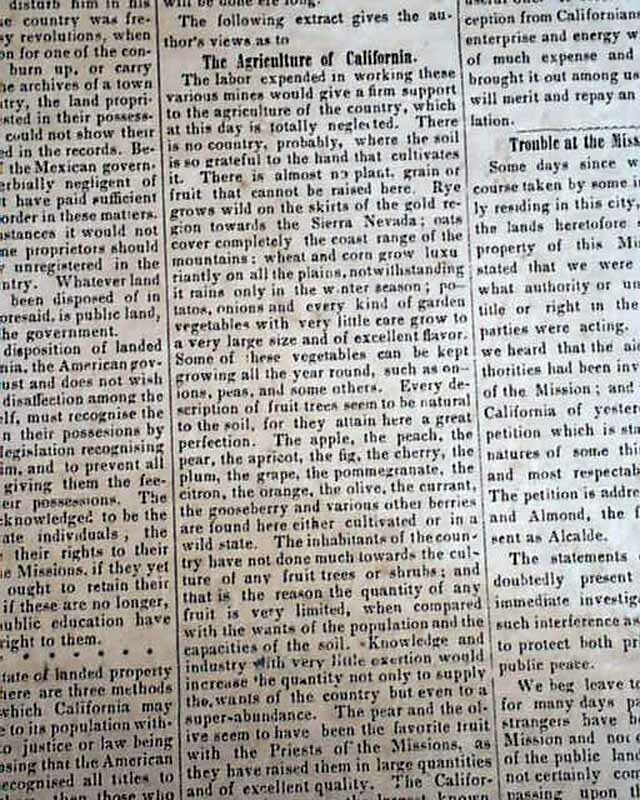 And it was printed before California statehood. 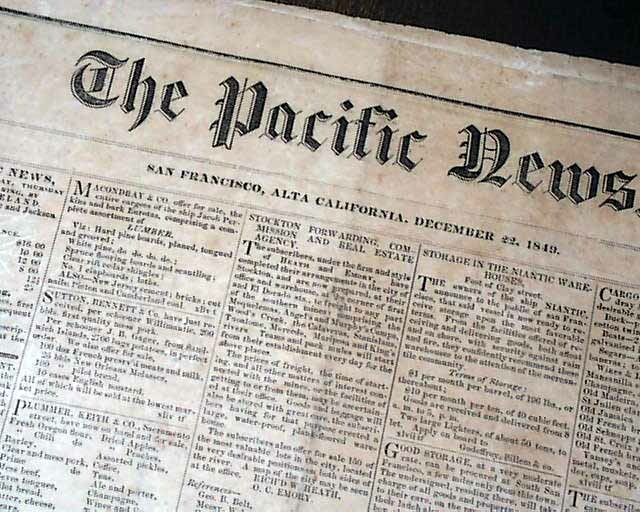 There were only four newspapers which printed in Calif. in the 1840's. This issue is dated from the midst of the '49ers gold rush' with the front page containing many advertisements relating to mining. 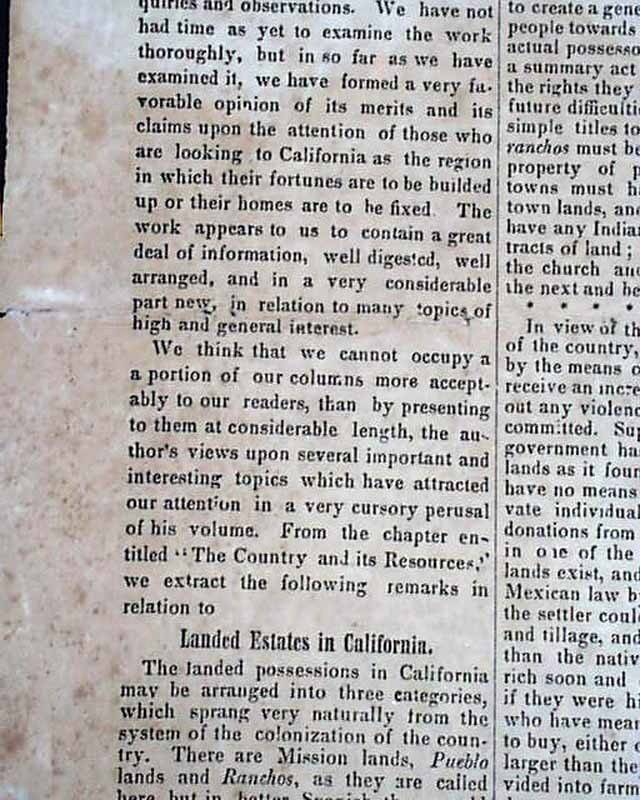 Page 2 has a wealth of California-related content with: "A New Work Upon California" "Landed Estates in California" "Various Mineral Resources of the Country" "The Agriculture of California" "Trouble at the Mission Delores" "Views off the British Press Upon California". This is a damaged issue has half of the back leaf is torn away. 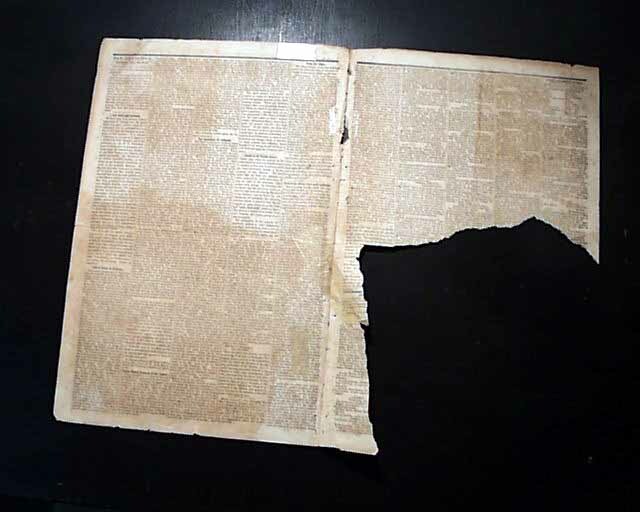 Pages 2 & 3 have some old archival mends, and the issue is a bit irregular at the spine margin. But a great issue for framing & display as the back leaf would not be visible as such. Measures 11 1/2 by 18 inches. 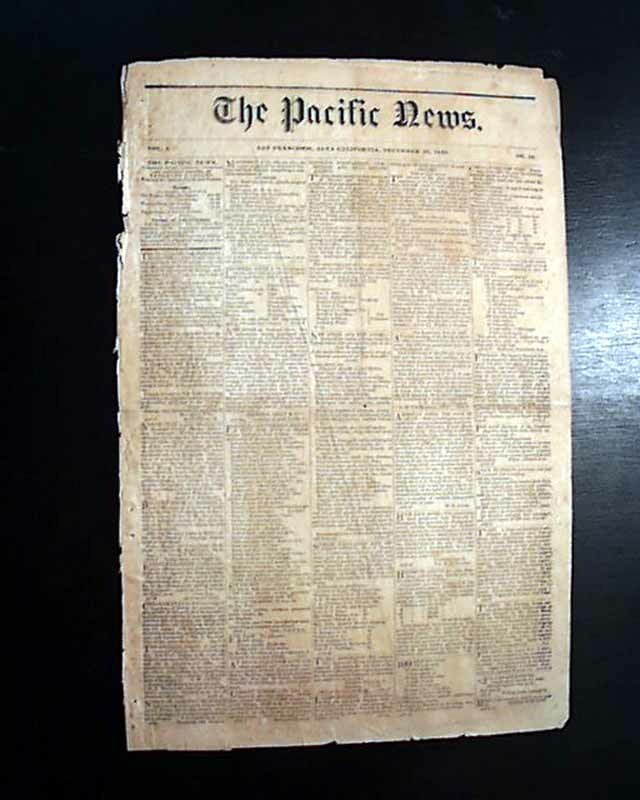 This could well be the earliest California newspaper you will be able to add to your collection and available at a reasonable price (we have another 1849 issue offered for $2770; see item 612378).